Search for your next contract with iContract BETA and make it a match! Finding your next contract with iContract BETA has never been easier! One of the most effective ways of applying for a live contract is through our fantastic Search Function! Using the ‘Contract Search’ page, you can determine what type of contract you are looking for by setting your requirements in a contract search. 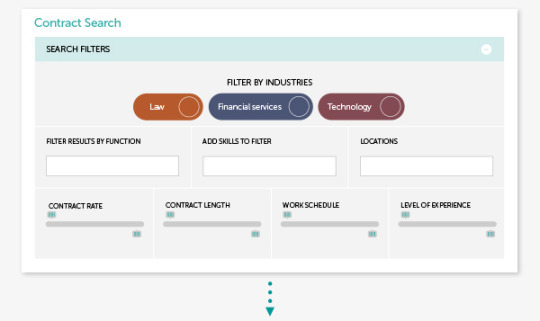 Your search will instantly generate available contracts that are the most suited to you. Take a closer look at each contract and then Apply for this contract by clicking the Apply button. The recruiter posting this contract will receive your application and upon review of your profile, if you’re suitable for the contract, you’ll be shortlisted…It’s a Match! Now you can start interacting with a recruiter through the chat function and arrange to take your conversation offline and to the next step! Best of luck in searching for your next contract! Remember there are new contracts being uploaded to iContract BETA each day and need contractors like you to apply for them!